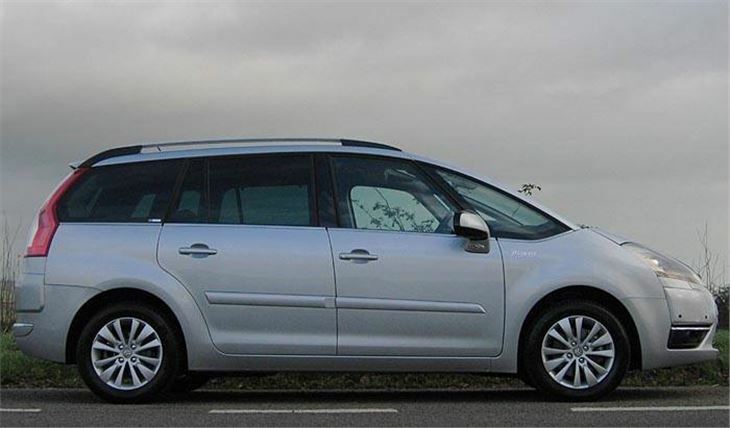 The Citroen C4 Grand Picasso is the car that would have surprised no one by becoming European Car of the Year 2007. 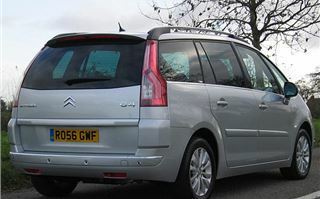 Without taking anything away from the Ford S-Max that secured the title (by managing to be both a drivers car and an MPV), the feature-packed C4 Picasso pushes the concept of compact MPV further than it has ever gone before. Unfortunately it was a latecomer to COTY and some of the judges did not get enough time to fully appreciate quite how much it offers. I’ll start with the seats. There are seven of them. 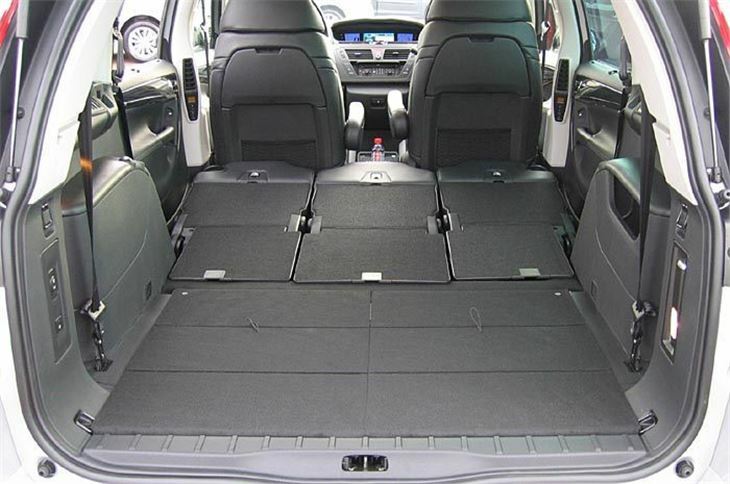 The rearmost two each pop out of the boot floor with a single tug. The centre three are each full-size separately sliding and folding with ISOFIX tethers on all of them. They also fold flat with one tug, but very usefully the squabs on the outer two fold up so they can be slid forwards individually to give generous access to the rearmost pair. 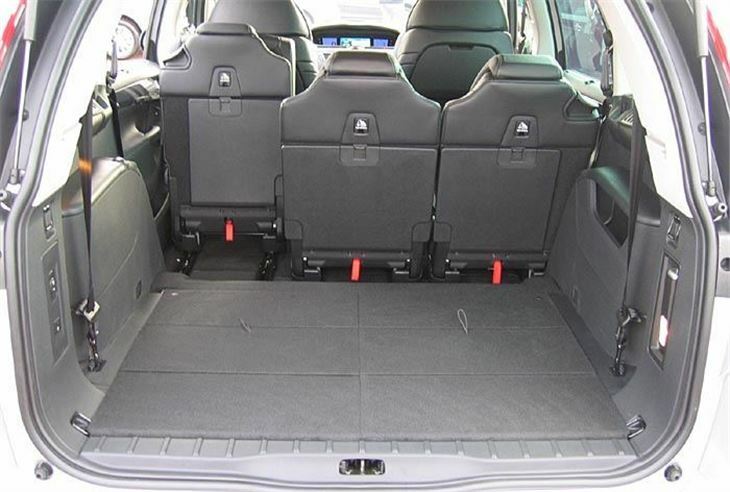 Unlike the Zafira, two centre row passengers can stay in their seats while two more get into the rear pair. At 5’ 9” I can happily sit behind myself in all three rows. 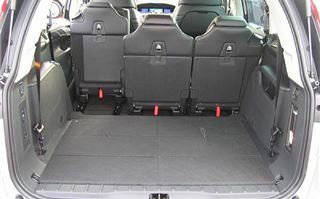 All five-rear seats can be folded or erected in 30 seconds. And the flaps that give a flat load area are much neater, tidier and stronger looking than those in the S-Max. 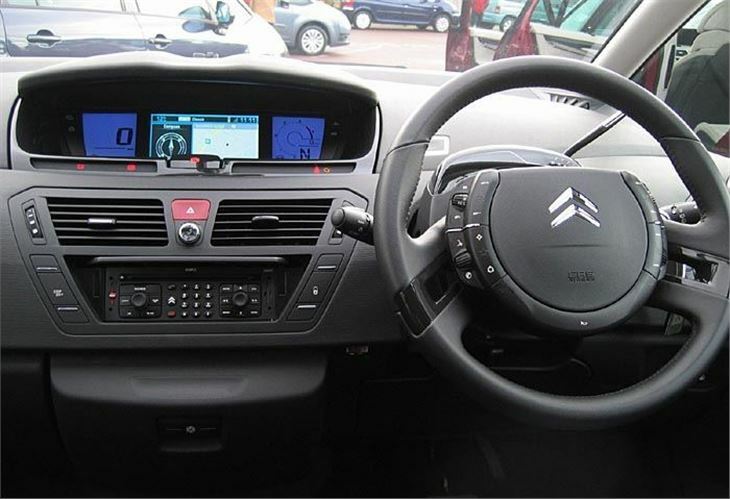 Up front, the passenger seat also has ISOFIX fittings and the airbag can be de-activated by keyswitch. 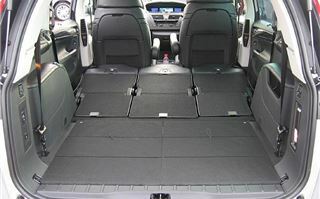 Unless you specify an optional DVD player, the cab is ‘walk through’ with a flat floor enabling the driver to easily slide across and get out passenger side. All the dashboard functions, including a big digital speedometer, satnav screen (if specified) and now a digital rev counter are in the centre. The electric parking brake switch is bang in the middle. And most of the other controls are on the steering wheel itself. On ‘Electronic Gearbox System’ (autoclutch) versions the Reverse-Neutral-Auto-Manual selector is a lever, and manual selection of the six gears is by paddle. Interior lighting received a lot of attention. On Exclusive models you can change the colour as well as the brightness of the instrument display. Put your hand into a door pocket and it illuminates. There is soft LED lighting everywhere. And even a rechargeable torch in the boot. That LED lighting does not extend to the unusually tall taillights, though. They are lit by projector bulbs. The view from the driver’s seat is extraordinary. The car has the deepest screen on any car anywhere. So deep it requires double sunvisors that first slide down before opening. 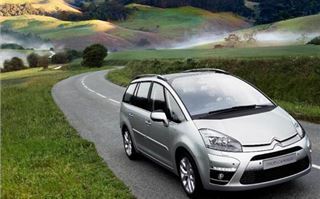 In the summer you’ll be able to spot C4 Picasso drivers by their suntans. The screen is also panoramic. Citroen has managed to eliminate the traditional MPV screen pillar blindspots by thinner A pillars and large front quarter windows. 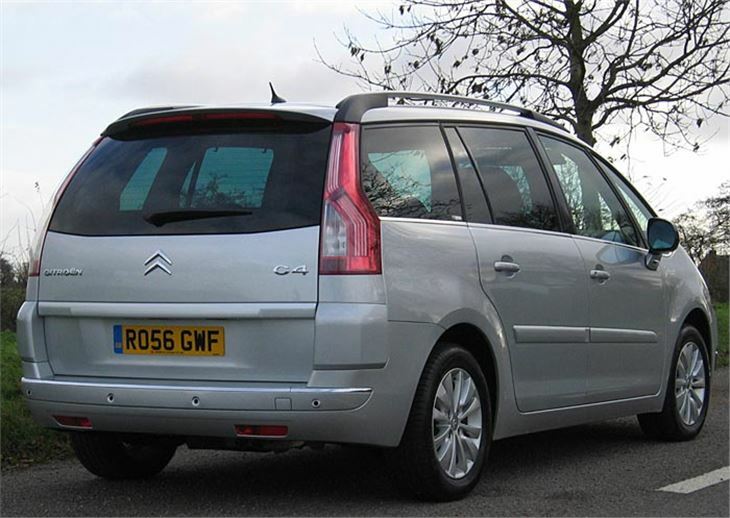 And at no sacrifice in front-end safety as the C4 Picasso has gained the highest NCAP score of any vehicle ever for adult occupant protection. 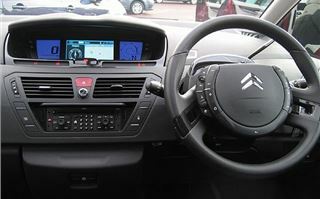 Other goodies, some of which are model dependent or optional, include self-levelling rear suspension, a parking space measurement system, Citroen’s lane departure warning system, cruise control with speed limiter, hill start brake assist, single plug automatic fuel flap (no separate fuel cap), individual climate controls, an air quality sensor and a fragrance diffuser. There’s even a separate smaller mirror to watch the kids in the back seats. Engine range kicks off with a 127PS 1.8 petrol from £14,995 and with a 110PS 1.6 HDI from £16,495. Top models are a 143PS 2.0 petrol Exclusive 6-speed EGS at £19,845 and a 138PS 2.0 HDI 6 speed EGS at £21,695. Emphasis is on the EGS which is the only transmission with the 2.0 litre engines and optional with the 1.6HDI. So that’s what we tried. An electronic clutch can never give you the perfect shift every time. But because it’s an automated process it does give you the same shift every time, eliminating ‘driver error’ and achieving a lower CO2 output. Though a little bit slow, this box was the best of its type I have ever tried and was easy to get used to either in manual or in fully automated mode. It did a very good job of eliminating the torque reaction jerk between 1st and 2nd, which is always the biggest challenge. The standard C4 range speed limiter is a useful feature, enabling you to programme in 30mph, then if you try to go faster your right foot feels like it’s pressing on a jelly. The slight danger of this is understeer on wet leaves on a tight bend. You obviously can’t set it at 30, keep it there and simply steer. However, handling is generally all right. Better than the Xsara Picasso. But nothing like as sharp as an S-Max. 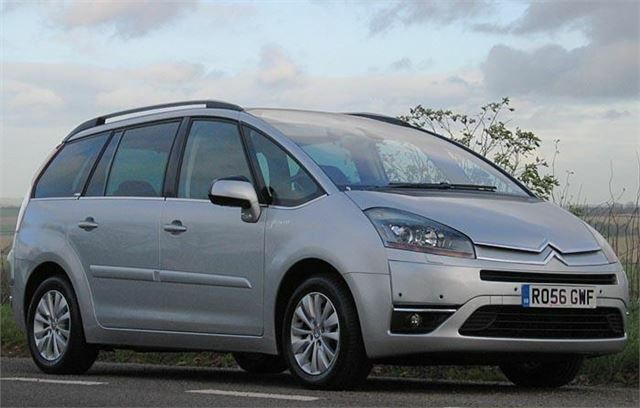 If you want a Sports MPV you know where to go. 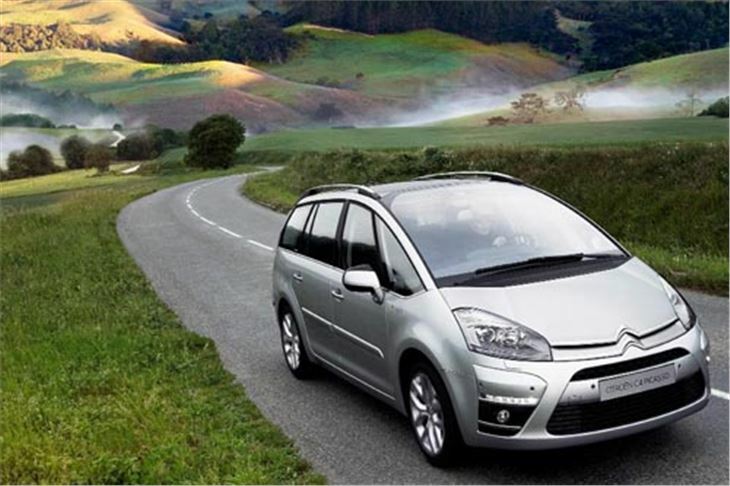 But if you want the most up to date compact MPV with the most surprise and delight features, and an autobox, then it has to be the C4 Picasso. 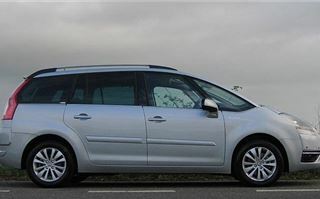 Meanwhile, if you want a really cheap five full seat MPV, the Xsara Picasso soldiers on into the fairly distant future. A replacement is waiting in the wings, but Citroen says it won’t be for years.